Facebook users have shown that they’re more willing to interact with content in their newsfeed than traditional advertising. With Facebook Offers, you can deliver deals to your fans’ news feeds each day without having to use an outside website like Livingsocial. 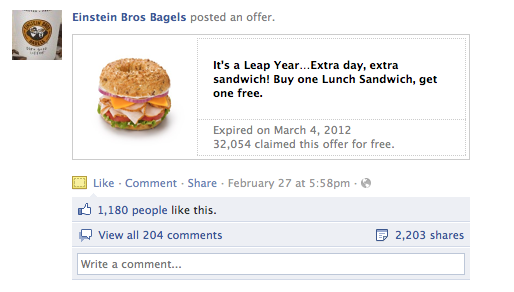 These offers can spread quickly when your fans share them with others in their networks. Anytime someone clicks and claims an offer, a notification shows up in their friends’ news feeds. That gives more people an opportunity to claim your great offer for themselves. It depends on how many people you want to reach. When you're creating your offer, you can pick one of the suggested budgets from the drop down menu. Sign into your Facebook account. On your page, look at the top left side for “Offer/Event” next to Status and Photo and click on it. Make discounts substantial. Discounts should be at least 20% off regular prices. Offering things for free typically performs better than discounts even if the percentage off is the same implied value as the free item. For example, "Buy one oil change, get one free." Keep it simple. Describe your terms and conditions as simply as possible, and don't make customers perform unusual activities. Use a clear and engaging image. Photos of people using your product typically perform better than photos of your product by itself, and both of these generally perform better than your dealership’s logo. Your Page's profile picture will also show next to your offer in most places, so don't use the same photo for both. Make sure your photo looks good when viewed at thumbnail size. Keep language natural and direct. Your headline should lead with the value of the offer instead of marketing slogans. Avoid using unconventional capitalization or punctuation. Set a reasonable expiration date. Give people at least a few days to see and claim an offer. Take advantage of word-of-mouth marketing by allowing time for your offer to be shared between friends. Promote your offer. Add a budget and pin your offer to the top of your Page so people will notice it. We recommend re-sharing an existing offer instead of creating the same offer twice so it's easier to track how many people are claiming it. Train your staff. Make sure your employees know the terms of your offer and how people can redeem it. Some people will print out the offer while others might show the offer on their phones or tablets. If you want more information on Facebook offers go to their website here. 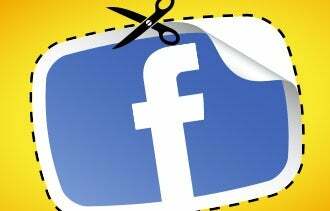 What do you think of Facebook offers? Would you use this for your dealership? Your way of telling the whole thing in this article is in fact good, every one can easily be aware of it, Thanks a lot. That is so true Christine, even with other social tools like foursquare. I would SHOW the person my phone and they would look at me clueless! Great post! Especially your last point about educating your staff. So many times I try to redeem a social offer at a restaurant or store and the staff is completely confused on what it is and oftn try to say it's not valid.